A wedding set on the edge of the caldera, An intimate destination santorini wedding was perfectly planned, even from far away. 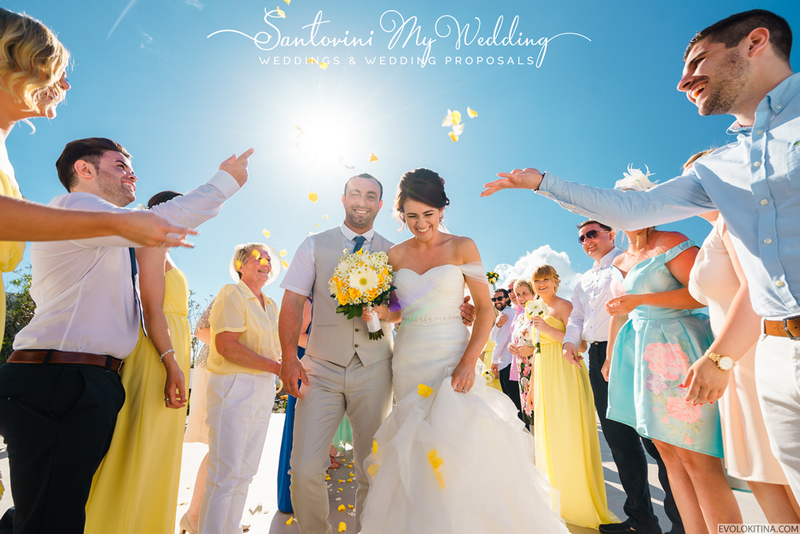 Thanks to their champion planners of mysantoriniwedding, Couples wedding dreams not only came true, but stresses of planning a faraway destination wedding were alleviated. No idea was too grand, like the floral rich altar for their ceremony, a giant marquee “LOVE” sign to light up the night, or even obtaining visas to ensure their family arrived safely from Abroad. Thanks to experienced help, the week could not have been more perfect. 3. Sunset Ritual with a glass of wine. 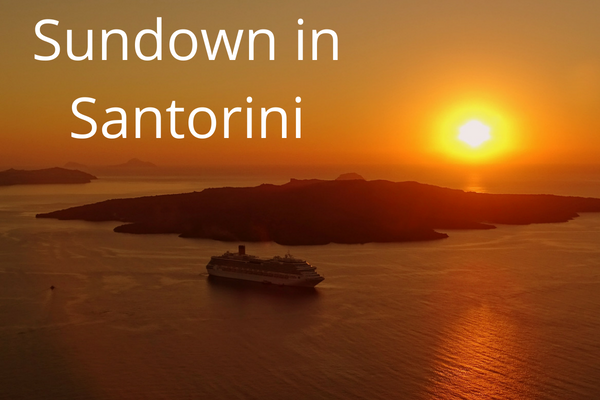 Santorini’s sundowns are the most famous sundowns in the world. 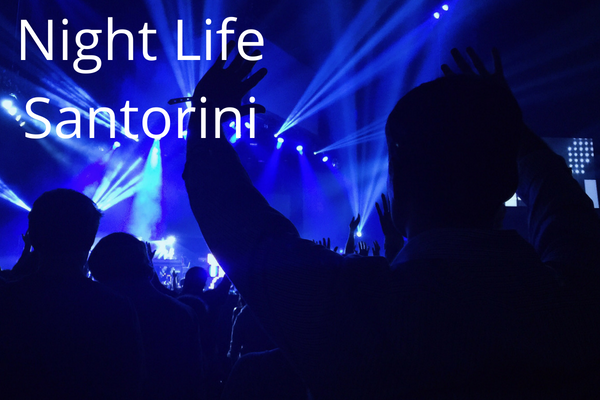 It is an event in itself acclaimed by every single tourist of the island and you can’t say that you’ve been to Santorini if ​​you don’t get lost in the beauty of at least one of its sunset. The ritual is repeated every afternoon: people stop everything they are doing and go in search of the best place to admire the sun slowly going down until it disappears behind the horizon, leaving the day and conquered by the stars. Santorini is one of the most unique islands in all of Greece because it has actually been built on an extinct volcano. In fact, it has been populated since Minoan times, and back then, the volcano was still active. 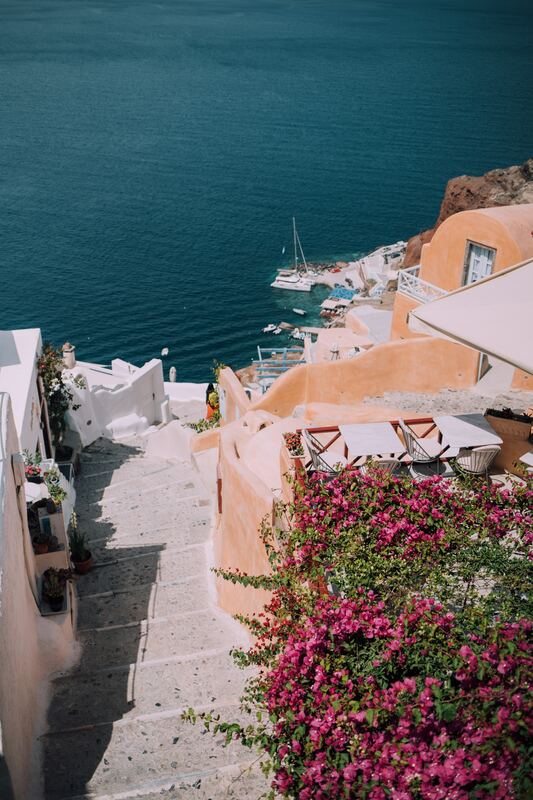 The center of the island actually collapsed during a particularly violent volcanic eruption, and many think that Santorini was the physical location of the fabled “Atlantis”. Anyway, taking a boat tour of the island is the best way to glimpse the unique geography that was shaped by the volcano so long ago. 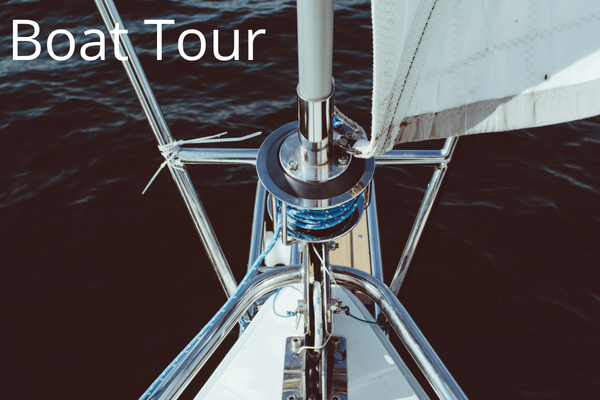 A good boat tour will not only show you the geography, but also educate you on the history, as well. You can also charter a sailboat or a yacht to explore the waters on your own. No trip to the Greek Islands is complete without a little jaunt on a boat. 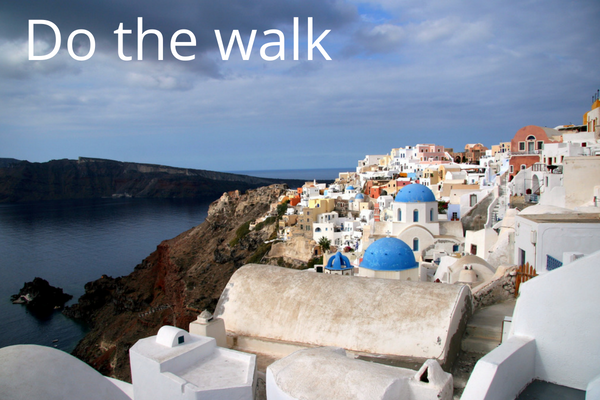 Thankfully, there are some great options when you visit Santorini. 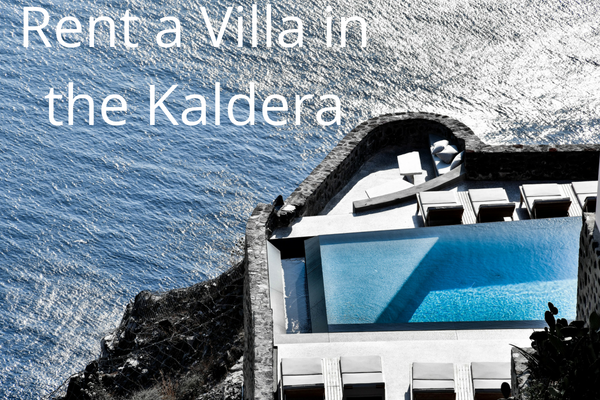 Many of the routes will head around the dramatic parts of the bay, visit the Volcanic Island and even have a little time for diving into the deep blue sea! 5. 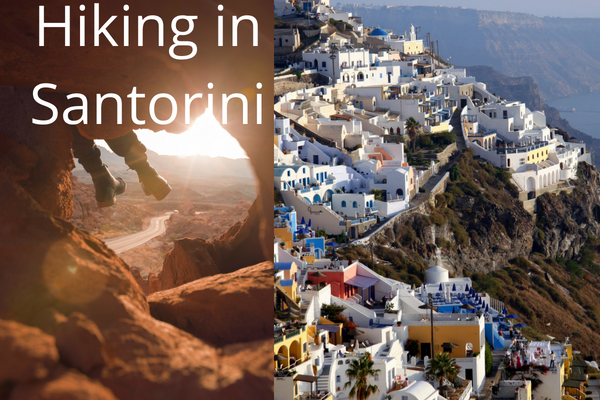 In Search of Authentic Santorini? Skip the Beach. Take a Hike. In a beach at Kamari or Perivolos, Perissa that can support a 24 hour night and day music and beach bars. 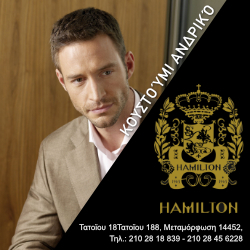 If you are a downtowner you can find the oldest bar in town (1976) the kira thira with jazz, lartin. lounge music. Sangria with local fruits is something you must taste. 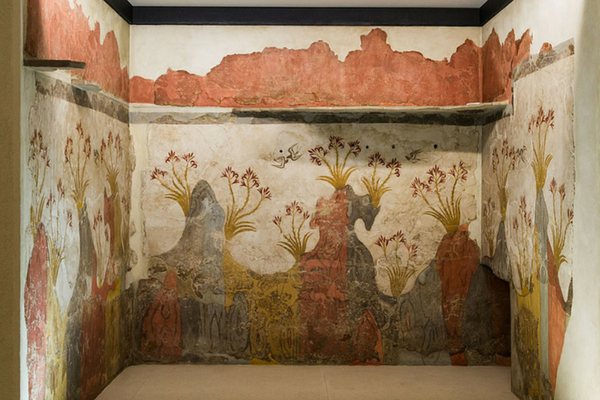 A Minoan City that was buried beneath the volcanic ash for an eruption in 1613 BC. Unbelievable frescos, pottery and culture. 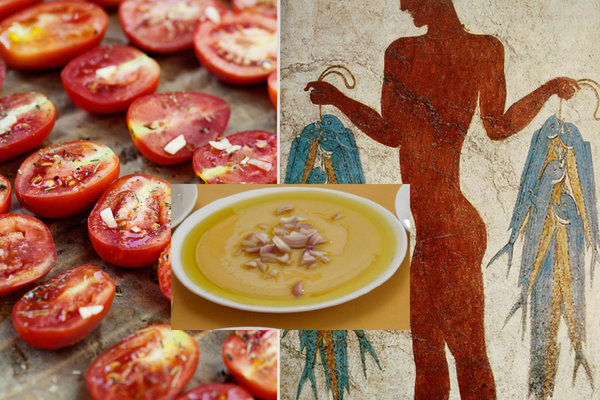 Santorini’s soil produced a special range of vegetables such as vine varieties like athiri, white eggplant, a cucumber with almost no water, santorini tomatoes, zucchini and many other. You must absolutely try fava. (image in the center) Fresh fish as the ancient fresco shows and local cheese pies. Dried figs, amygdalota and loukoumia are known deserts that mix great with the local greek coffee.